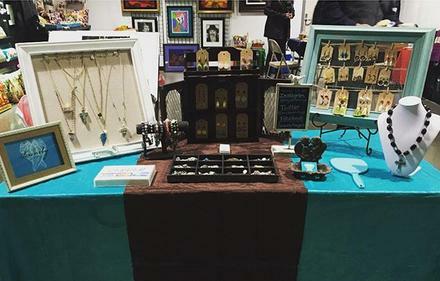 My name is Karla Chávez and I am a self-taught jewelry designer from San Diego, California, specializing in handcrafted, healing gemstone jewelry. I’ve always had a passion for arts and crafts and have the fondest childhood memories creating beautiful things with my hands. In 2002, I was introduced to jewelry making and instantly fell in love, finding a profound sense of purpose and fulfillment. My life had taken me on many adventures including working full-time for a national non-profit organization and taking on various leadership roles in local organizations. Finally in 2011, the energy of my world shifted and I was finally on the path to fully embrace my artistic calling. My spiritual journey has not always been an easy one but it is in my struggles that I found my strength. It took me going through a stressful, life-changing experience to finally embrace the opportunity for a fresh start while deepening my journey of self-healing, transformation and spiritual growth! Jewelry making is so much more than a hobby or career, it is a therapeutic activity that allows to me heal, accept, learn and love. Each creation is infused with positive energy, ready to be passed on to the next owner. I grew up in a border city so jewelry making allowed me to honor the vibrant culture and traditions of my Mexican heritage and incorporate this into my designs. In 2012, I became a member of the Foundation for Women, which ignited the desire to turn a lifelong hobby of crafting into a part-time business. My journey had finally taken me to this precious moment, as I embark on the wild ride that is Serenity Designs. ​ In 2015, I became a Certified Reiki I Practitioner, which allows me to fully incorporate healing into my jewelry. I want to thank you so much for taking the time to get to know me. I hope you love my designs as much as I loved creating them for you. I am truly blessed, honored and humbled by my loyal customers and the support of those around me. 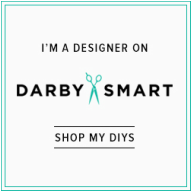 ​In 2014, Karla became a featured Designer for Darby Smart, a leading brand in the do-it-yourself crafting market. In 2015, she designed a Holiday Gift Tag for a collaboration between Darby Smart and Gap Stores. Her design was selected and was featured at Gap Stores nationwide! ​In September 2016, Karla Chavez was a featured Raw San Diego Artist in the Verve Showcase. RAW showcases indie talent in visual art, film, fashion design, music, performance art, hair and makeup artistry, and photography.